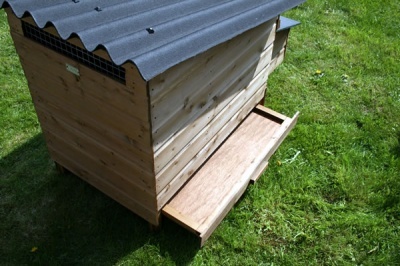 Sometimes you need a small coop to separate out broody hens from your flock or perhaps to keep a cockerel. 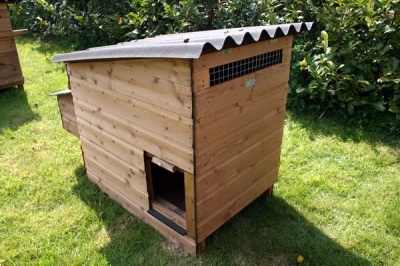 The Weeford coop at just 35" x 25" x 35" High ( 89cm x 63.5cm x 89cm high ) is ideal for this task as well as for breeding trios. 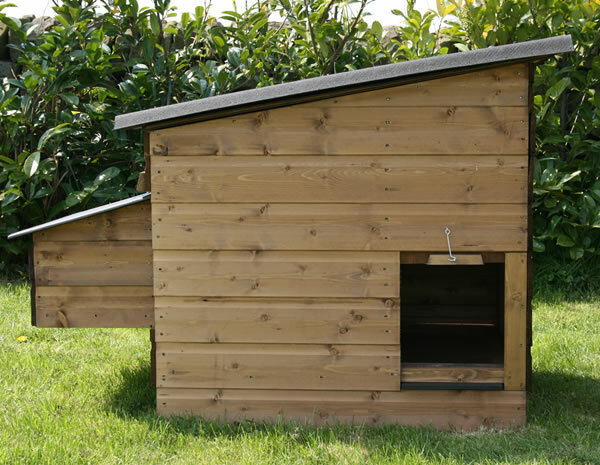 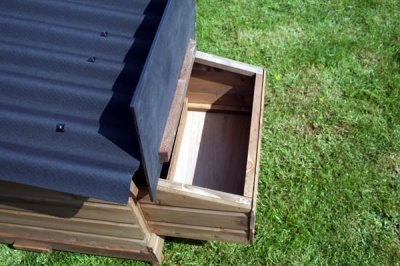 The coop has a hinged corrugated roof for easy access and a slide out floor for easy cleaning. 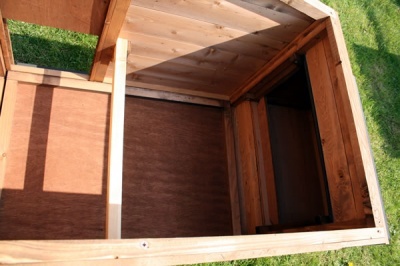 The Weeford also has an attached nest box with lift top roof so that you can get to the eggs without disturbing the birds.